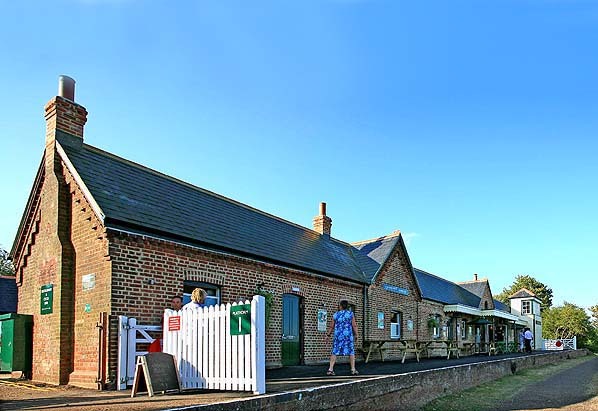 Present state: The station has (2013/4) been restored to a high standard; this includes the addition of a replica station building at the north end of the original building. 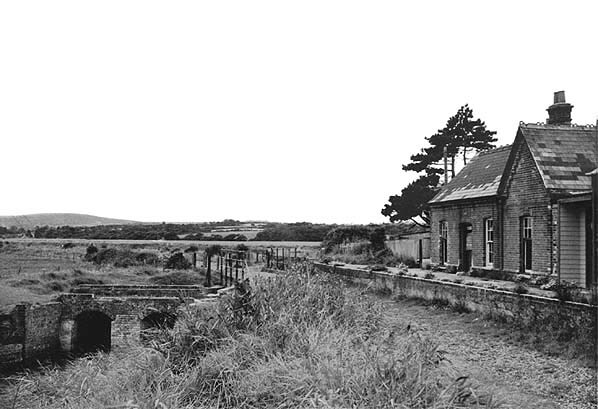 There is also an imitation signal box on the platform which is used as a bird hide. The station now houses a cafe/restaurant. There are numerous items of railway memorabilia on display. Notes: The station originally had a long passing loop with a second platform; the loop was disused by the 1920's and later removed. Unusually the two platforms were staggered due to a stream that passed under the line near the end of the up platform. There was a 320' single line siding serving a small goods yard behind the up platform. 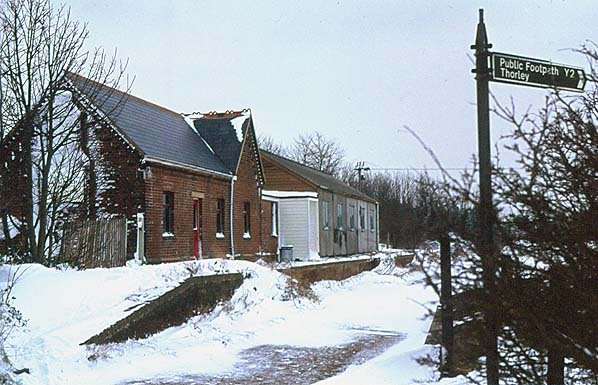 Shortly after the takeover the FYN station at Newport closed with all trains running in to the IWC station. 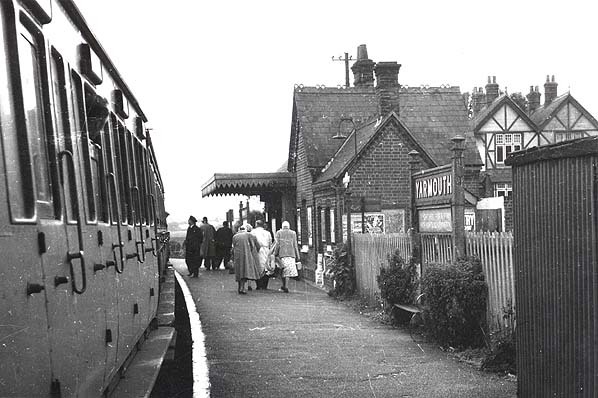 Improvements were made with some through trains running between Freshwater and Ventnor but following nationalisation in 1947 the lines days were numbered. 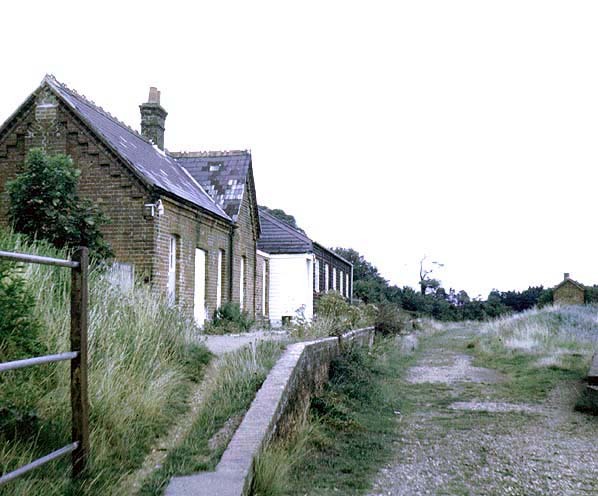 In 1952 it was proposed to close the line and following a public inquiry, closure was approved with the last train running on 20th September 1953. 1897 1:2,500 OS map shows the layout of Yarmouth station with its goods yard behind the platform. 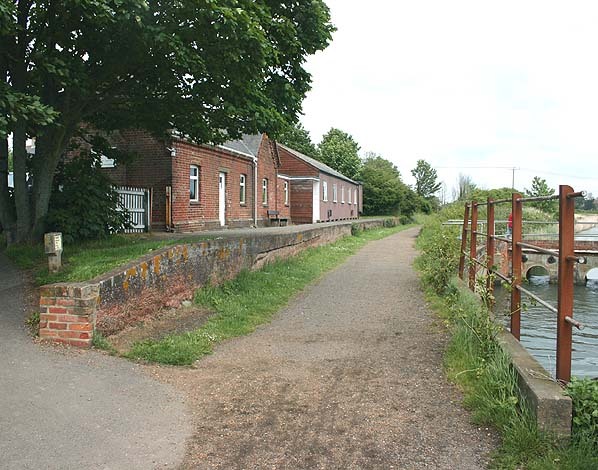 There is a cattle dock to the rear of the platform at the north end. There appears to be an unnecessary amount of sidings, perhaps some are contractor's sidings left over from the construction of the line. 1909 1:2,500 OS map shows the goods yard has now been simplified with the removal of the unnecessary sidings. There are now two sidings, one end on to the dock and one passing alongside it. At this time the yard had a 5-ton capacity crane but its position is not shown. The stagger between the two platformsw is clearly seen# there is only a small amount of overlap. A waiting room is shown on the down platform. 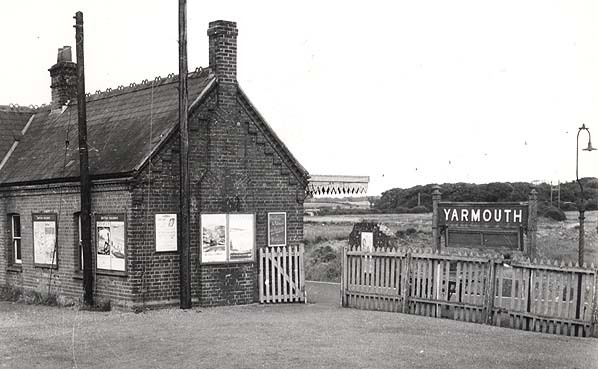 Yarmouth station looking south-west c.1964. 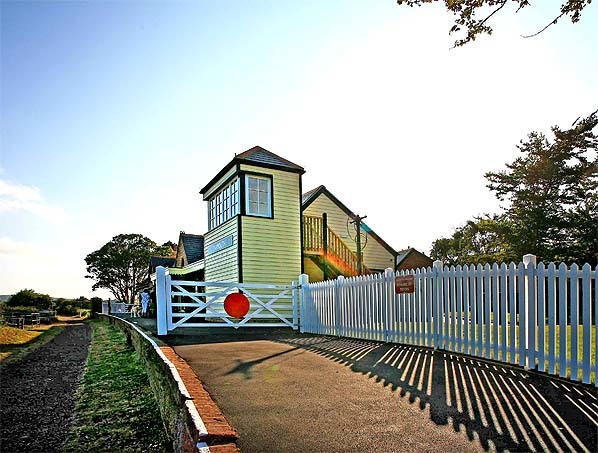 During 2013/4 Yarmouth station has been restored as a tourist attraction. 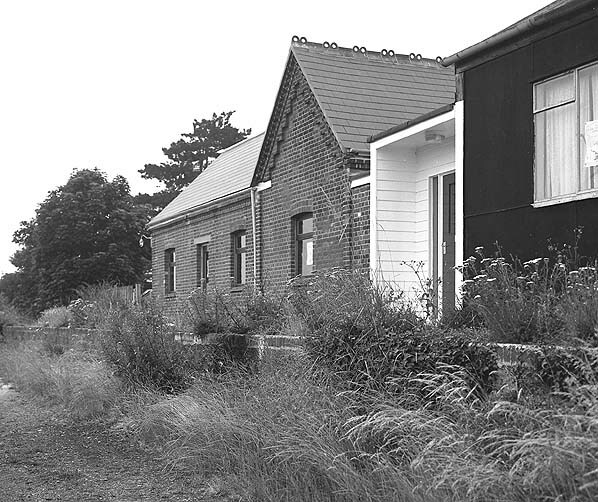 The youth hostel building at the north end of the platform has been demolished and replaced by an extension to the station building in the form of a replica of the original building, including a canopy. A tall imitation wooden signal box has been built on the platform at the north end. This is, in fact, a bird hide. All the work has been carried out to a high standard. The centre of the building is now a restaurant/cafe and there is much old railway memorabilia on view. Yarmouth station looking south-west in August 2014. The imitation signal box which is actually a bird hide is seen on the platform.